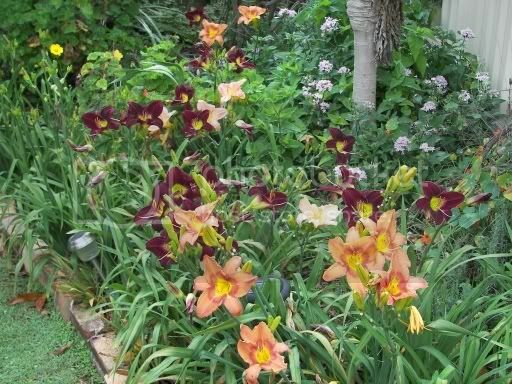 A group of day lilies. wonderful photo abwal, those colours look so great together. They certainly do! I love those orangey tones - and what a great border!